Annamaet manufactures dog food for a variety of budgets; the higher of the bunch – Annamaet Ultra – utilizes 32% protein. We prefer the Ultra formula over the rest. Annamaet is a holistic pet food manufacturer from Pennsylvania that has been producing its foods in the United States for decades. The company makes a wide variety of products which are divided into two different sections, the original formula and the grain free blend. Both of these, however, are free of any corn, wheat, or soy, and are specifically crafted to ensure they provide the maximum nutritional value to your four-legged friend. Annamaet produces a wide range of dog foods to meet a variety of budgets. For this particular review, we are analyzing the better Annamaet Ultra formula, which comes in at an estimated $2.12/lb. 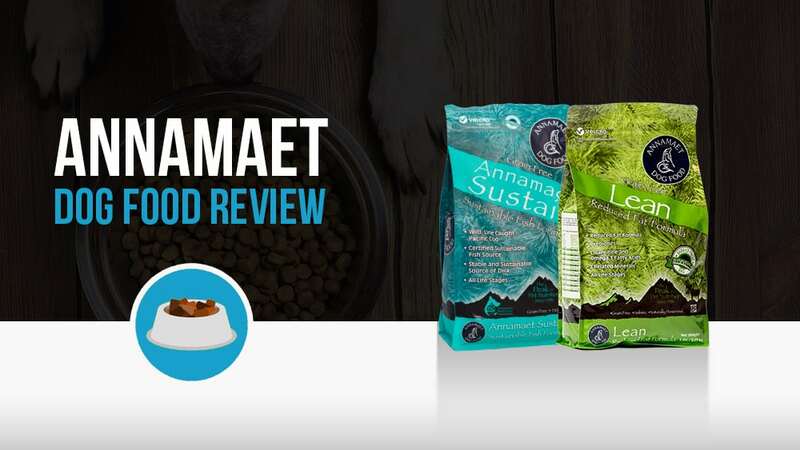 Annamaet dog food promises to use only the highest quality, GMO free ingredients and makes all of its products right here in the United States. All of the meat and fish that go into each bag of food is fit for human consumption, and the company avoids using fillers such as corn, wheat, or soy at all costs. Interestingly, the company has also begun adding a particularly unique ingredient into many of its blends in recent years; algae. According to their website, “algae is a stable and totally sustainable source of Omega-3 fatty acids,” and many studies have gone to show that algae could also be used as a superfood for humans, too, and is already available for sale at most health food stores in a variety of forms, most commonly as spirulina tablets. Analyzing the first 10 ingredients in a dog food is a great way to understand the overall nutrient content of the dog food because AAFCO requires all dog food ingredients to be listed in order of predominance by their weight. Here’s a closer look at what’s inside Annamaet Ultra 32%. L-lysine: L-lysine is an essential amino acid. Annamaet has a ton of different lines of dry food, as well as canned foods and treats. For the sake of brevity, however, we will look at some of their best selling or unique products in this list. Made with the needs of highly active dogs or puppies in mind, the Encore blend is one of the company’s most popular and uses chicken, fish, and brown rice as it main ingredients. The blend also meets the AAFCO dog food nutrient profiles for “All Life Stages,” making this a great food for dogs of all ages, especially those who might want a little more protein in their diets. The adult formula is made primarily for older dogs, or dogs with slower metabolisms. That said, however, with 23% protein, despite having the lowest protein amount in the Annamaet lineup, it is still suitable for dogs of all ages, and is made with antibiotic free chicken and brown rice as the main ingredients. DHA, for brain development, L-Carnitine for muscle and cognitive growth and proteinated (chelated) minerals to boost immune systems are also added into the mix to make a perfectly rounded meal for your pup. Specially designed to meet the needs of active dogs, canine athletes, working dogs and bully breeds, Extra has 26% protein as well as several added vitamins and minerals to ensure your tog can compete at peak efficiency. Also, like most of the other Annamaet foods, this one also meets the AAFCO “All Life Stages” guidelines, so it can be fed to any dog, regardless of age. The main ingredient in this bag is low ash chicken, supplemented by healthy brown rice. 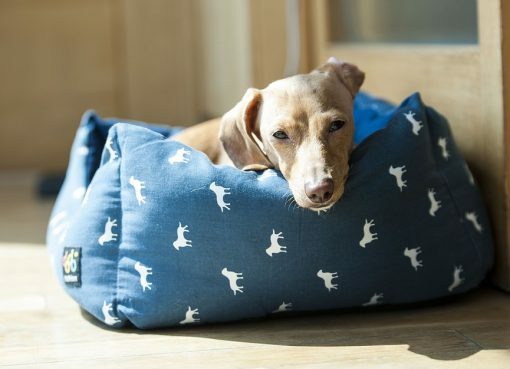 Designed for performance dogs, this is one of the two lines from the brand specifically meant to cater to the needs of small dogs (the other, not on this list, is known simply as “Small Dog”). 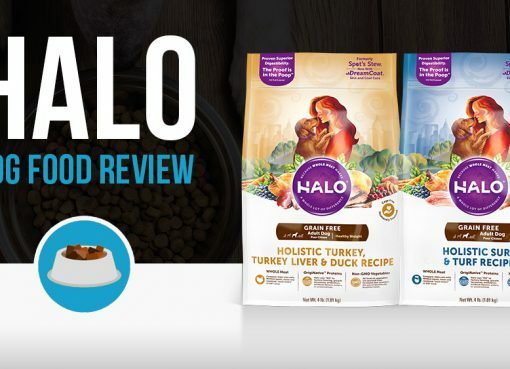 As per their website, “this is an “ultra” energy dense product, having the highest protein and fat levels of any of our formulas”, and is made using antibiotic free chicken, fish, and brown rice, as well as several additional supplements that many smaller dogs need to look and feel their best. Sustain is the newest entrant into the Annamaet family, and is a grain free blend that uses sustainably sourced fish as the main ingredient, as well as fresh turkey. 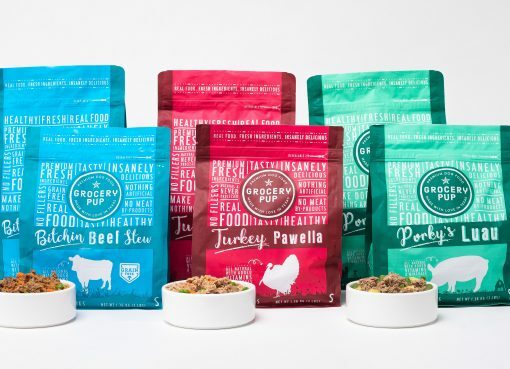 This food is the result of a collaboration with Integrative Veterinary Innovations, LLC, the Pet Sustainability Coalition and the Marine Stewardship Council, and is made to usher in a new trend in the pet food industry to use sustainable, earth healthy foods. Annamaet was founded by renowned pet nutritionist Rob Downey in 1986, and remains a family owned company with Downey at the helm to this day. Downey, however, knew that as smart as he was, he didn’t have all the answers for every question about pet nutrition, and as a result he has a certified Veterinary Nutritionist board on staff as well, to help ensure that every piece of food is as healthy and nutritious as possible. The unusual name of the company also has an interesting story as well. It is named for Downey’s mother-in-law, Anna Mae, who was known for her strong love of animals. After perfecting his formula, Rob Downey sold his very first bag of Annamaet formula on Anna Mae’s birthday, back in 1986. Annamaet is a specialty food that is not widely available outside of its home state of Pennsylvania. That said, there are a handful of retailers that will carry the product, but the best way to get your hands on a bag is to order it online. The Annamaet website provides a helpful list of online retailers, and the food is readily available through sites like Chewwy.com and Amazon.